Although experts recognize that antioxidants as naturally occurring nutrients can help prevent heart disease, cancer, and aging, they don’t know exactly how they work in the body—or whether increasing their intake in food or supplemental form truly helps fight disease. What experts do know is that foods high in antioxidants are some of the foods highest in nutrients and fiber needed for a healthy lifestyle—so eating them can’t hurt, and it will help you stay healthy. 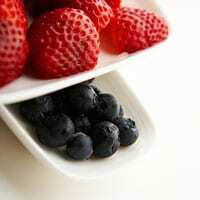 It’s important to know that cooking food affects its antioxidant properties: Blueberries are more potent raw; tomatoes become more powerful when cooked.